I scored a few giant craft Easter eggs from Target (before they close their doors in Canada - sob!) and decided to springboard the entire party decor from there. 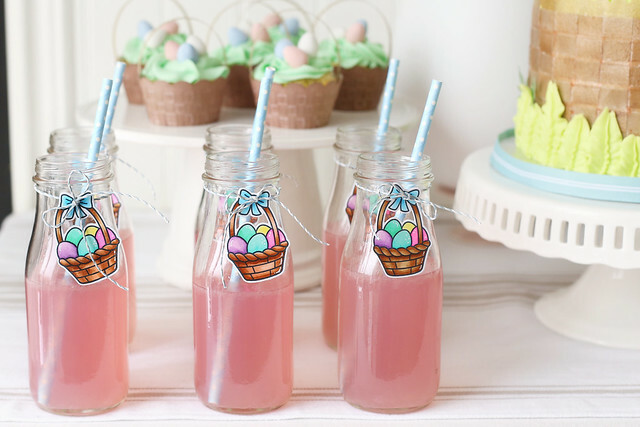 Lawn Fawn has the cutest Easter basket image that I used to decorate the pink-lemonade-filled bottles. 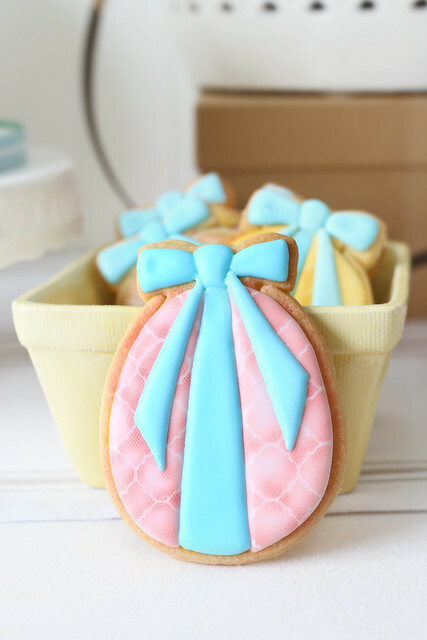 Marlyn made the most beautiful giant Easter egg cookies. I love the stencil detailing she achieved! 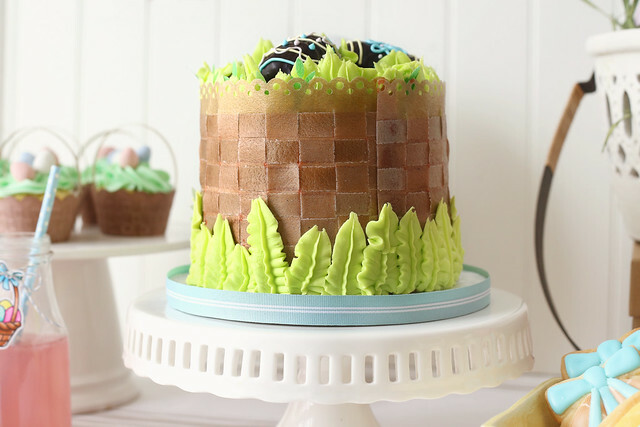 The edible wafer paper is a fun alternative to creating the woven look with icing! 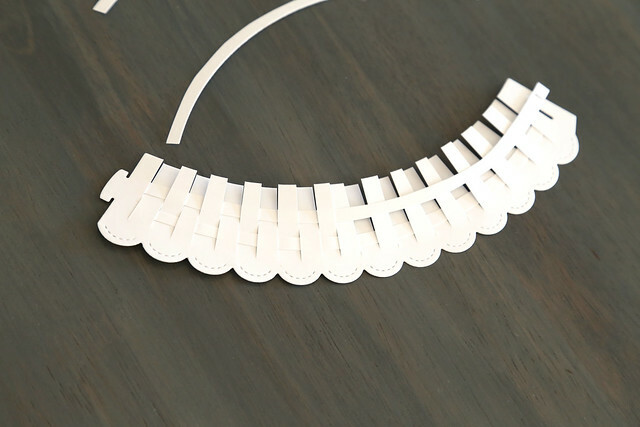 Start out by fringing the cupcake wrapper from the bottom, but stopping before any of the scallop detailing at the top. Take a second wrapper and cut it into thin strips, lengthwise. You see now what I meant about the imperfect cutting, hee. Start weaving! I place a tiny piece of tape to hold each row as I went along, so that I didn't undo my progress so far. I only wove in 2 or 3 rows per wrapper. 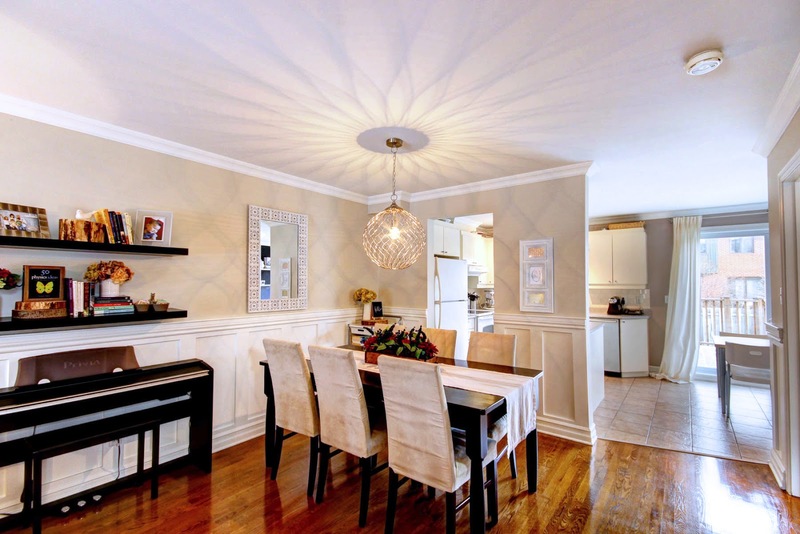 You could leave it white, or sponge it for a more natural wicker look. That's all there is to it! 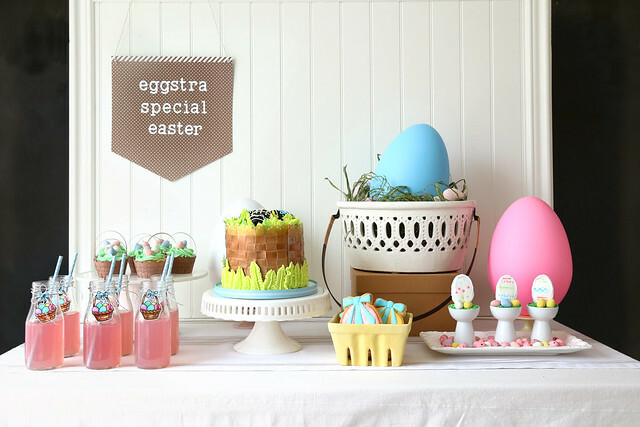 I hope you like our little Easter Egg party. I always love working with Marlyn! Hi there! 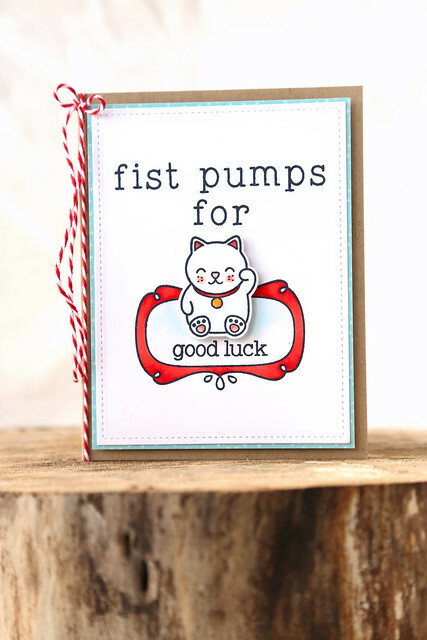 We're winding down this month's Lawn Fawn inspiration week with a little Lucky Charm. I was chatting with my hilarious friend Miriam, when she remarked that the cat looked like he was fist pumping. A card was born. She's so clever, that one. I used alphabet stamps to spell out the first part of the sentiment, and a flirty frame to ground the rest. Howdy! 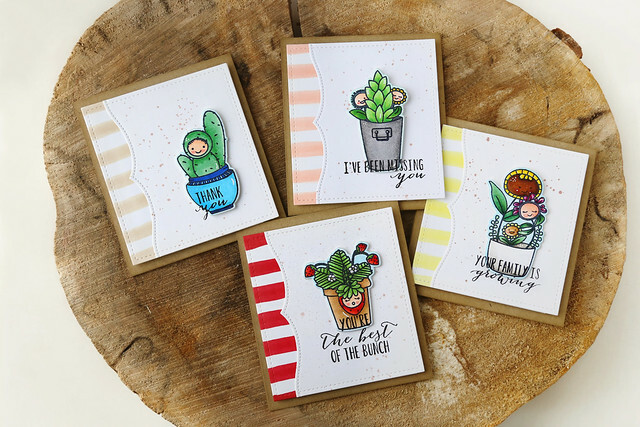 The lawn fawn team is showing off the cactus-themed set, Stuck on You. I had so much fun playing around with this set that I made 3 cards. Sit tight. I have a problem. I can't just stamp a solid image and be done with it. It's like how I always have to distress the paper edges. It looks too flat to me without any shading! 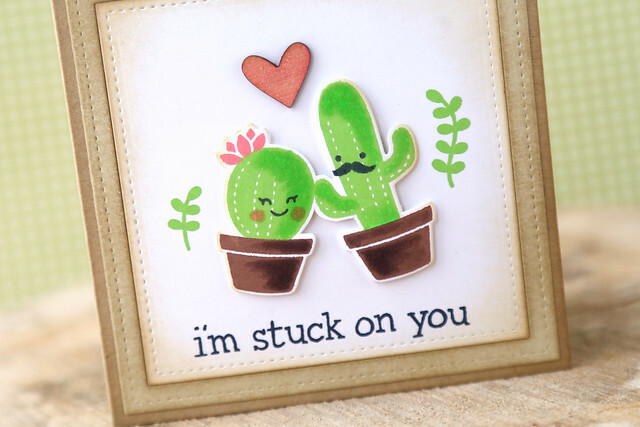 So I made my little cactus couple, literally stuck onto each other, and then added some shading. I cut them out as one piece. Now they're really stuck together, hee hee. 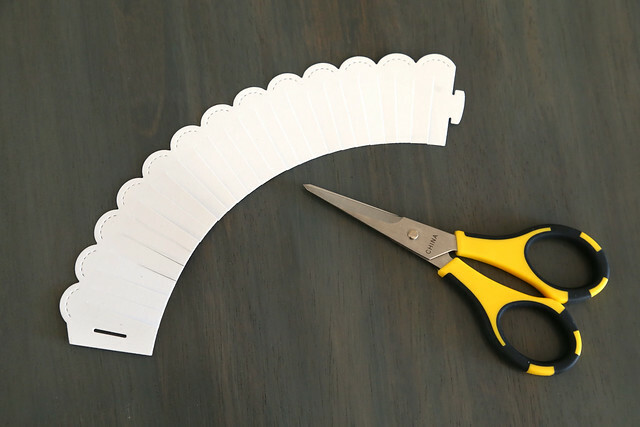 A sweet, simple notecard. It looks quirky and whimsical because of the hand-drawn outline. This time, I used the sprigs to frame out my sentiment. This one got the kid vote at our house. The kids were in stitches. 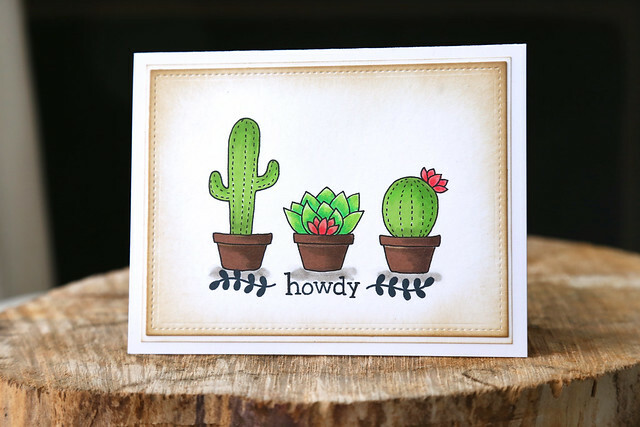 Once I popped on the cowboy hat and outlined the cactus in the same, fine-tipped copic pen as I did for the previous card, I realized that it didn't work. I had to find a thicker pen, to match the thicker outline on the cowboy hat. A little caveat: the thicker the tip, the more hand-drawn it all looks. 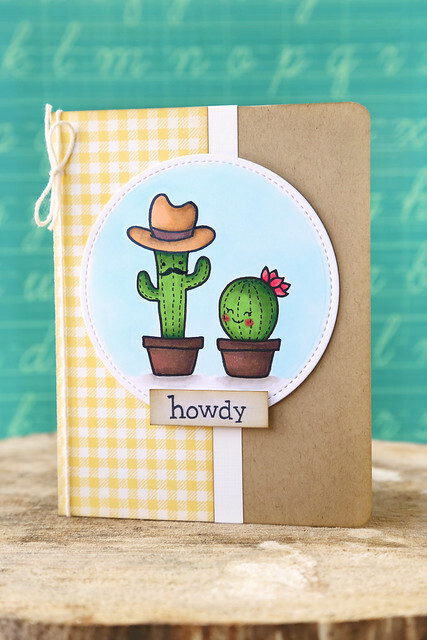 I like this dessert cowboy cactus. 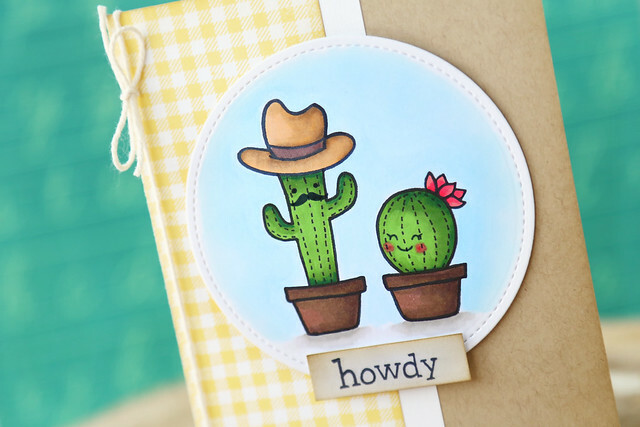 He looks like he's about to reach up a prickly arm and tip his hat to the lady. Or, maybe she's a señorita. And he's a Spanish cowboy. Hi there! 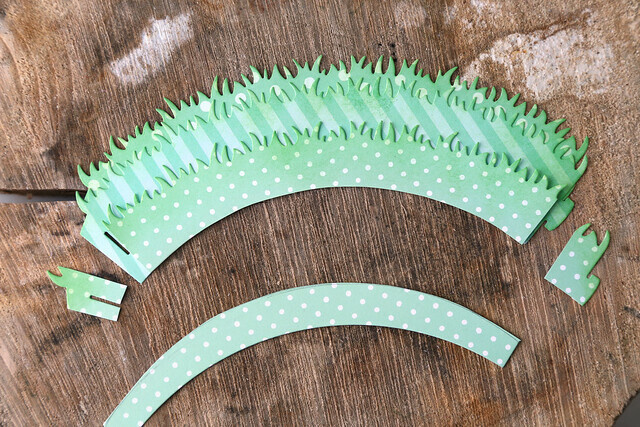 Lawn Fawn inspiration week continues! 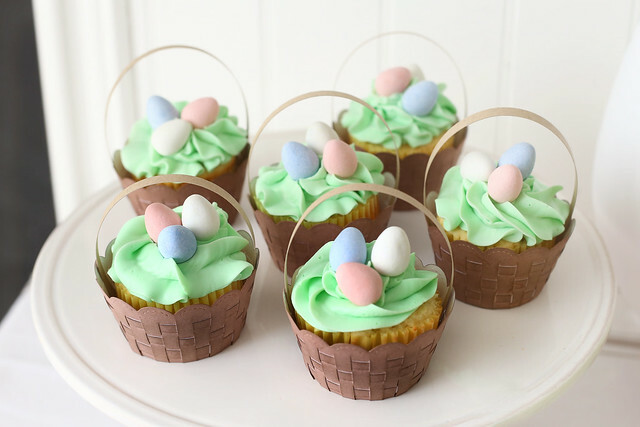 I'm showing off an idea for the grassy cupcake liners: layer 'em! 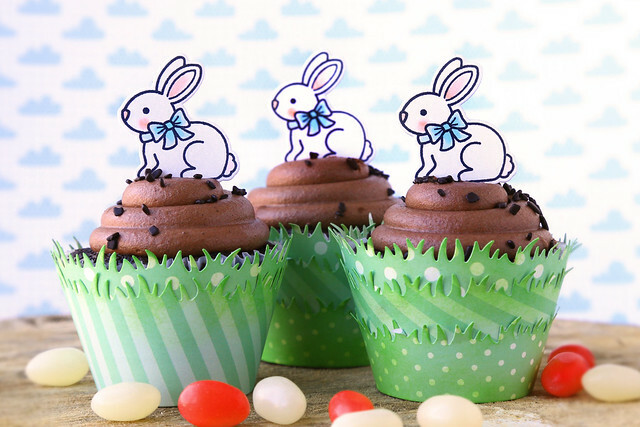 And, for Easter, or for a woodland party? 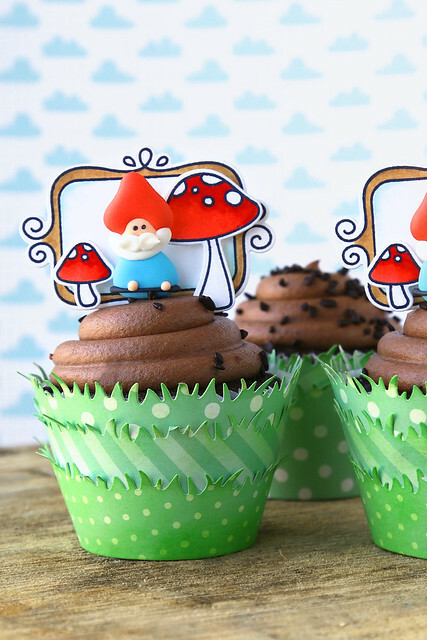 I have had those sugar gnomes for YEARS. Now that this photoshoot is done, I finally used up my stash of them. I featured them 2 other times, just on my blog. ha. If you could find them, I'd give you a virtual high five. 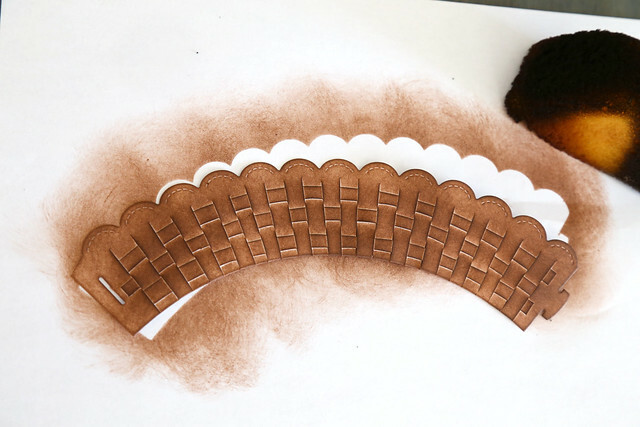 The top 2 layers fit together with no explanation, but if you would like it tripled, you'll have to pencil in the curve of the cupcake liner and cut away the excess. Also, cut away a bit on each side, so that the slot and tongue are free to connect. As you can see, it doesn't have to be perfectly cut out to look perfect around a cupcake. I hope you like it! There's more to see on the LF blog today - click! 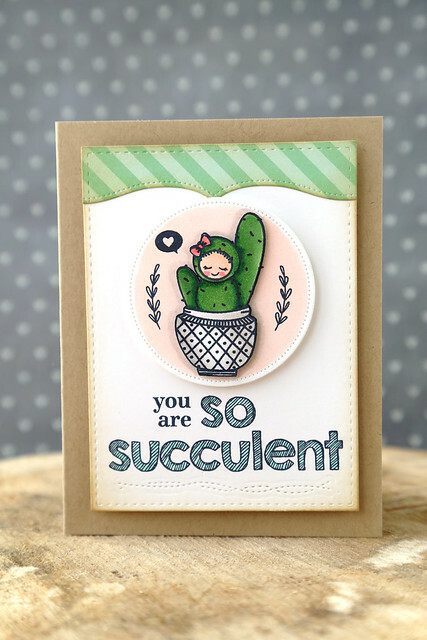 It's time for Lawn Fawn's inspiration week! 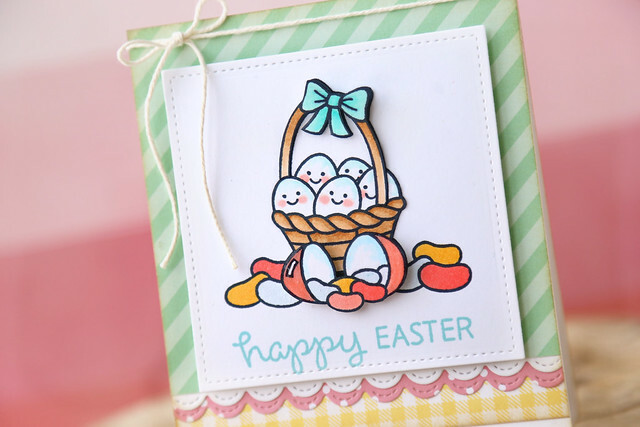 Today, we're showing off Let's Play, the cutie set that sees critters playing at the park. I mean, the see-saw was practically begging for it. The squirrel is all alone with no one to play with! 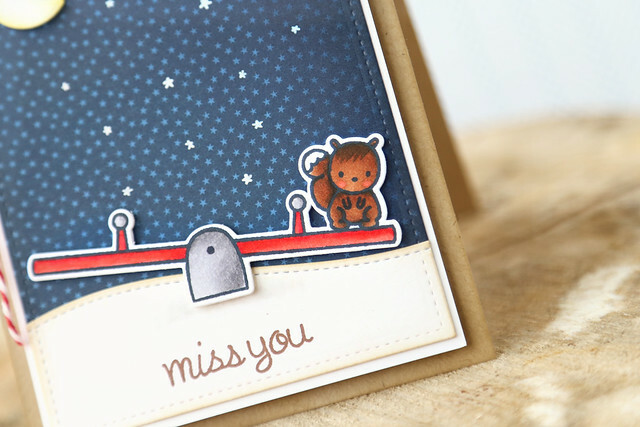 I used Lawn Fawn patterned paper for the night sky, adding a few more brilliant stars with a white gel pen. I used the partial die-cut technique to cut the squirrel and the see-saw out as one unit. It was a bit dicey there where his tail and the handle meet, but otherwise, it all worked out. Hi there! 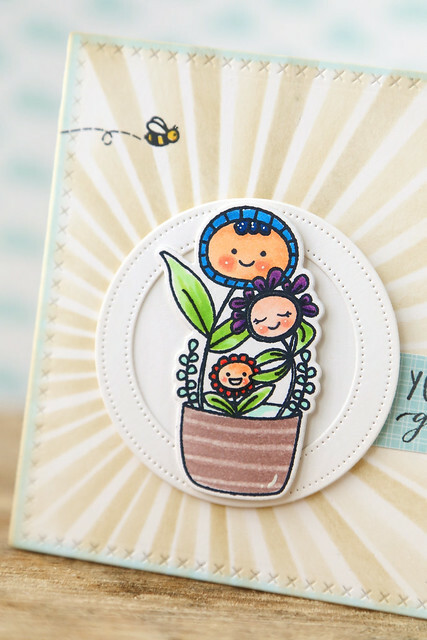 We're winding down the Mama Elephant March stamp highlights with Potted Pretties. 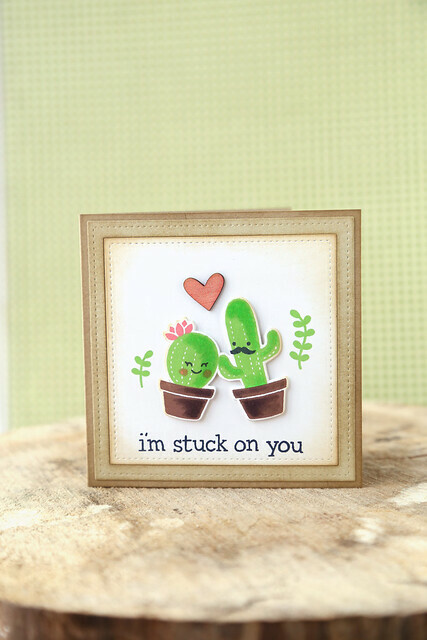 I've already posted a mini card set, and a cactus with a punny sentiment. Whichever of my 2 sisters delivers a baby first gets this card. Ha. One is due in April and the other in June. I hope the order keeps. I used a sunray stencil to sponge on the light brown ink, and then grounded my main image onto white circle die-cuts. I took a more artsy approach with these. It was accidental on this tag. I had finished coloring the peeking flowers, and then just took a light copic (E000) to outline the image and give it some pop. I guess it was over-filled because it leaked a huge droplet right onto the tag! Oh well, I was ready to scrap it. But then I kind of liked the hazy quality it gave the image. I held the marker over the tag and let it drip where it wanted to and then gave a wash of color over the whole thing. It's a very fun look! The banner sweeping across is from the Sweet Havana die set. 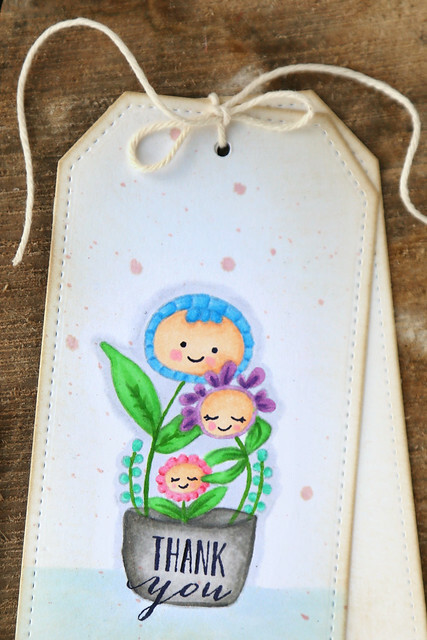 Isn't this tag so soft and pretty? Amazing what stamping in a lighter color can do. I stamped it in a light greay memento ink and colored it in, adding some detail to the leaves at the end. I hope you like Potted Pretties as much as I do! Visit the ME blog today to see more - click! Hi there! 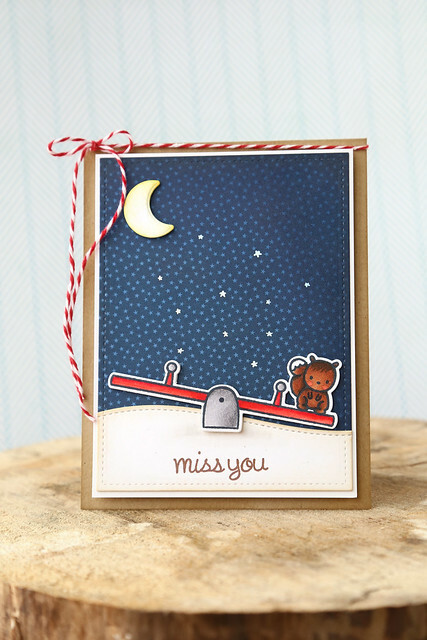 The ME design team is showing off the new sentiment set, Magic Moments. This card was easy peasy. Just stamps, a black ink pad and a handful of copics. I could do this all day. All of the die-cut panels were from my discard/extras pile. Do you do that? 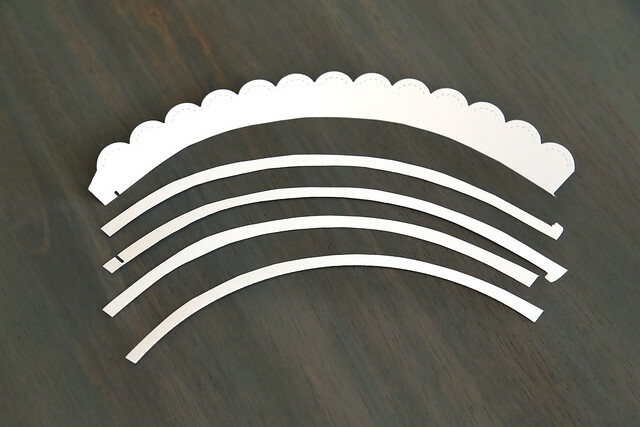 If I'm already cutting into a sheet of white cardstock, I cut a little more to finish off the sheet. Same with patterned paper. And then when you get told, "you forgot to make a card for today," you can pull one together in no time. I hope you like it! 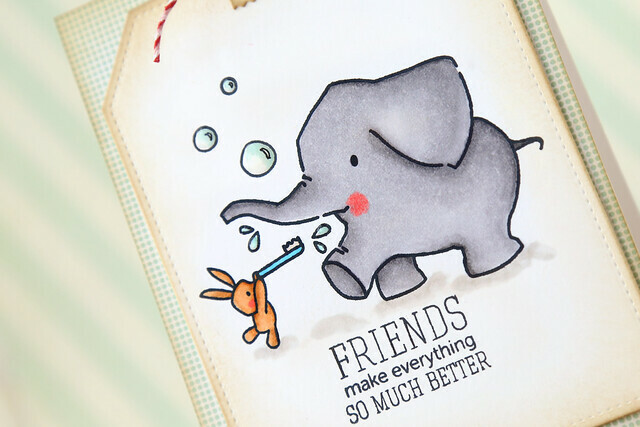 There's more to see on the Mama Elephant blog this morning - click! When I saw the new Mama Elephant set, Photobomb, for the first time, I giggled. Like, to myself and out loud. It's so cute and unique, and I've never seen any other stamp set like it. I don't own the polaroid die that is meant to be used with the largest image, but I made do with the skinnier polaroid die from Instalove. It's a perfect fit height-wise, and it allowed me to use the same focal image and display two of them side by side. I kept it pretty simple, to let their many faces take center stage. I borrowed the "love this!" strip from another new set, Magic Moments, and a sentiment from Good Times. 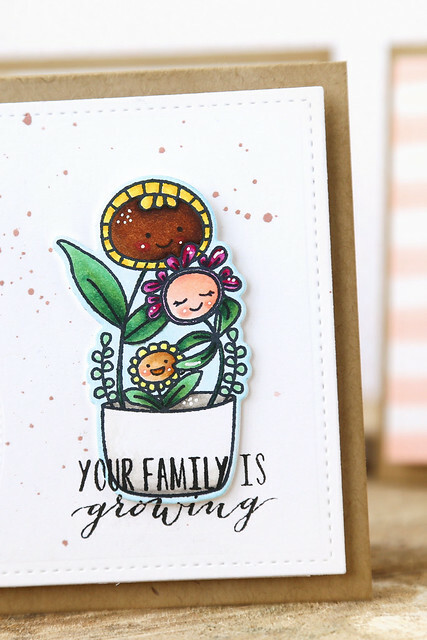 I love that sentiment so much, and I thought it worked so well here! 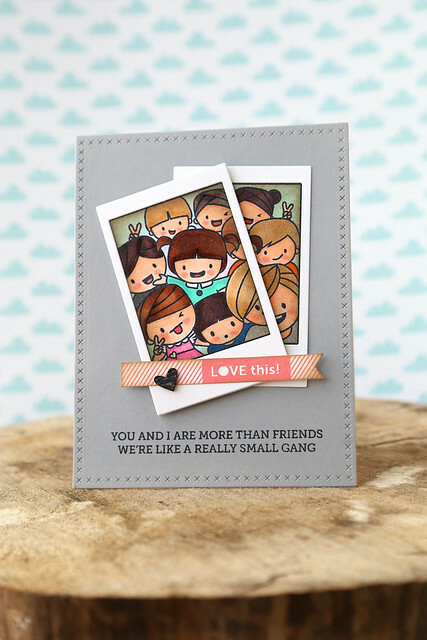 After I put this card together, I was wishing I had used different skin tones with my coloring. I will work something out in the future, for sure! It's so much fun to sit and color all of the different faces. Hi there! 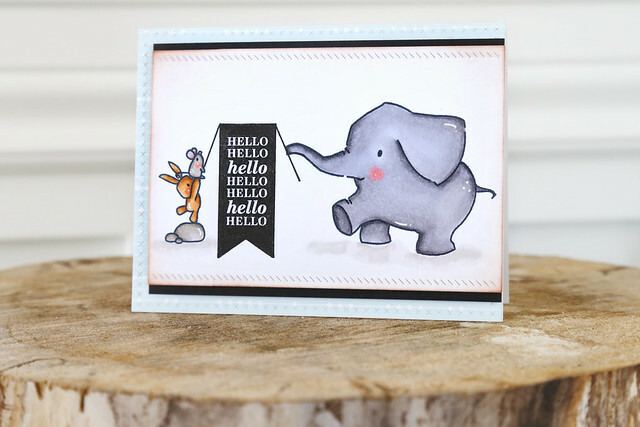 We're kicking off this month's Mama Elephant week of stamp highlights with the oh-so-adorable Ella & Friends. I love the scenes you can create with this card! 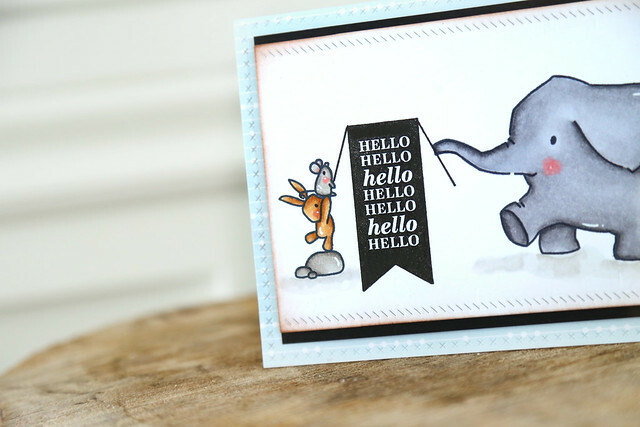 I stamped myself a party elephant, and he's celebrating his two little friends. I used the partial die-cut technique to cut him out with his party hat on. 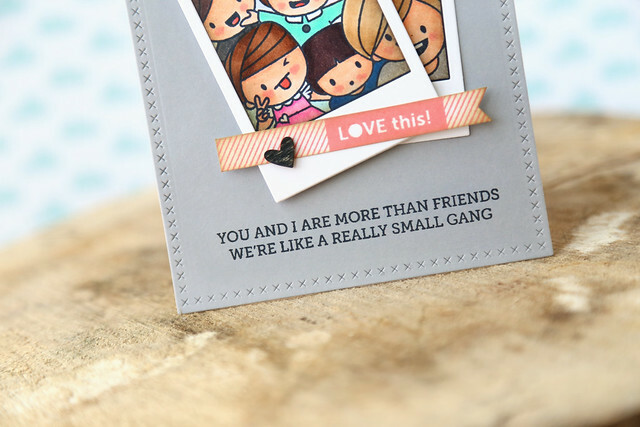 The scene is framed out by swooping banners, with half of the sentiment on top and the other half rounding out the bottom of the card. With this next card, I kept things so simple. When you have such great images, all you need is a black ink pad and a few copic markers. I did nothing else but color them and I love it. I mean... a toothbrush? I die. 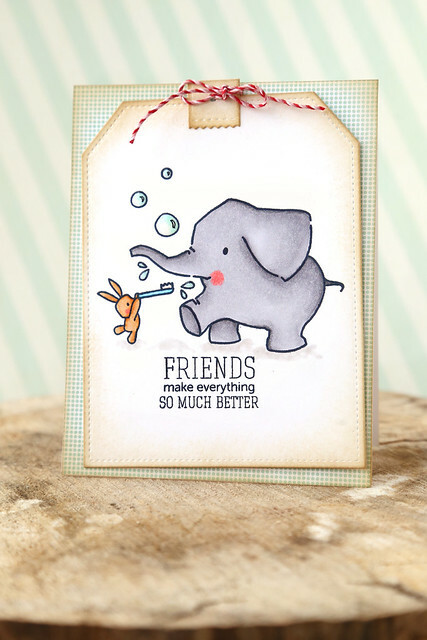 Visit the Mama Elephant blog to see what the rest of the design team came up with: click! We're excited! We are staining newbies, so we may have gone a little heavy-handed with the gray stain. There may be some drips down the front of the white legs too... but we are having fun experimenting and learning. The table is pretty indicative of how differently I'm planning on decorating the new house. I'm breaking up with all of the dark wood. The real question is what to do with those chairs! Stain or paint the legs? Pattern or solid slipcovers? Let me know what you would do. Without further ado, I have 2 winners to announce today. Yay, Leigh! 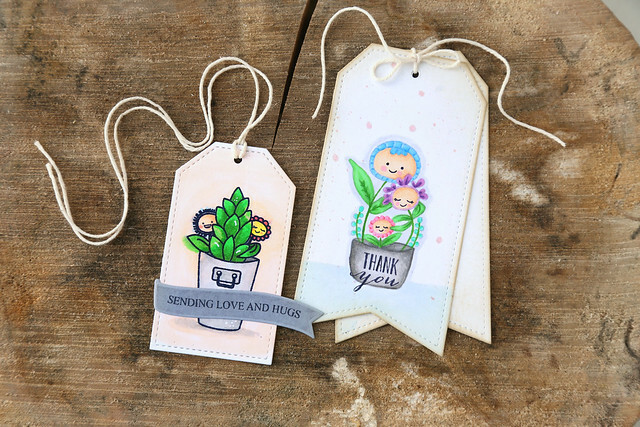 I hope you enjoy stamping with Potted Pretties! Miriam, congratulations! I can't wait to see what you choose. 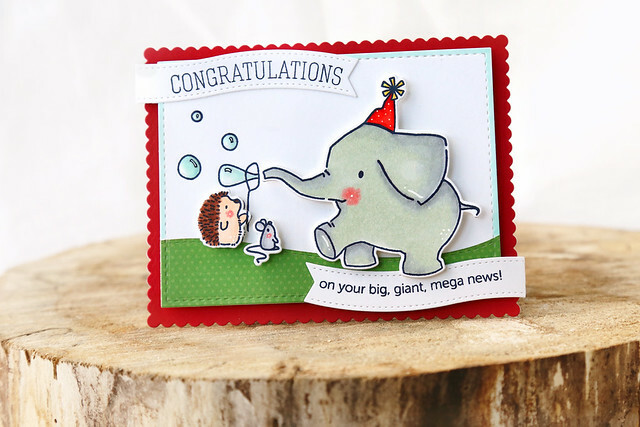 There's still time to comment on the Mama Elephant stampede post to be eligible to win one of the new sets. Thank you to everyone who left comments! The newest release is now live and available for purchase in the store! 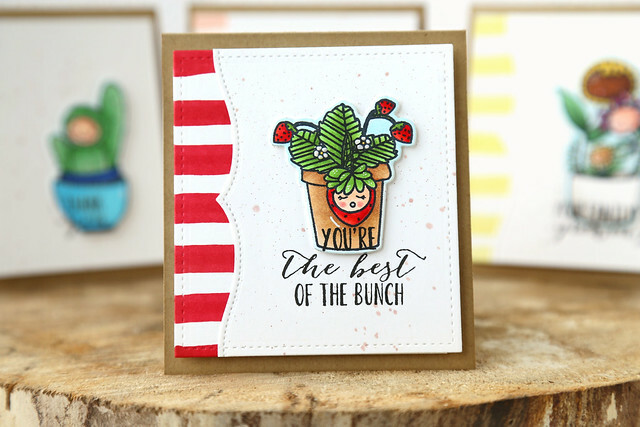 Thank you all so much for the sweet comments and reactions to Potted Pretties so far! I am over the moon, and can't wait to see you create with it! FYI: I checked. 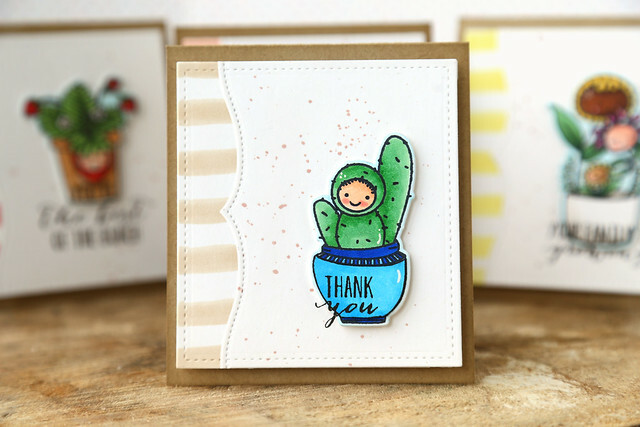 a cactus can be considered part of the succulent family. who knew? haha. it made my card work. 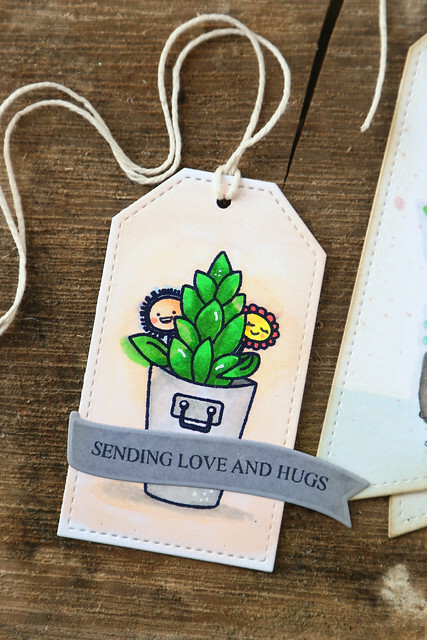 I gave my sweet cactus a little bow, added a tiny hearted speech bubble, and framed her out with delicate sprigs. 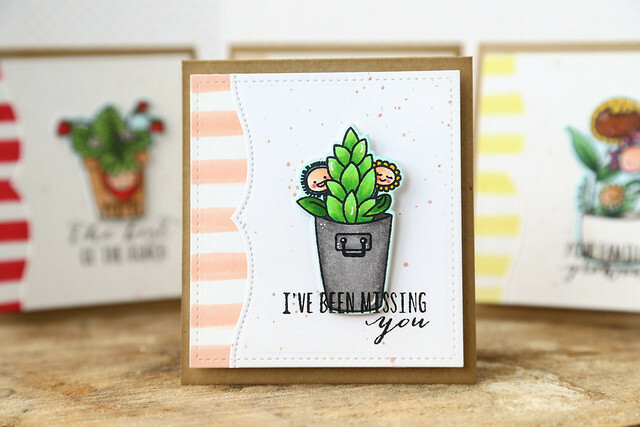 I am also running my own Potted Pretties giveaway! I am leaving it open until tomorrow morning, so head over to *this blog post* and leave a comment to enter! The Lawn Fawn girls are throwing a surprise virtual party, with birthday cards along the way to show our love and appreciation for this amazing company and its owners. I can't say enough good things about Lawn Fawn. 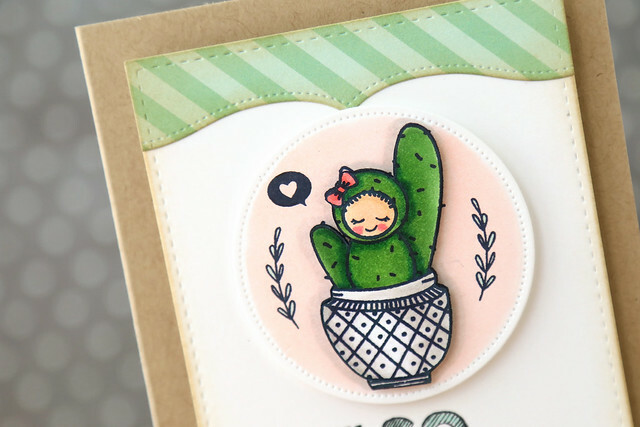 Their cute stamp line has expanded to include papers, dies, inks, and accessories since I joined the team 2 years ago. I feel so lucky to get to play with their stuff! And I can't say enough about how Kelly Marie. She is the sweetest company owner ever. I feel so blessed to call her a friend. She is sweet, bubbly, kind and so generous. The rest of the girls made new cards. I stuck this old card up so you'd have something to look at. gah. I am the slacker that came to the party without a new card, but I am bringing a present to make up for it! Leave me a comment here, telling me a reason why you love Lawn Fawn, and one of you will win a 10$ gift card from the Lawn Fawn store. 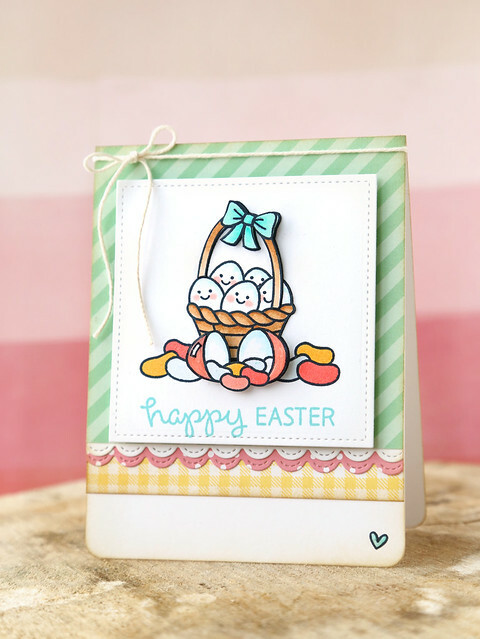 Be sure to visit the rest of the girls - their cards are so cute! 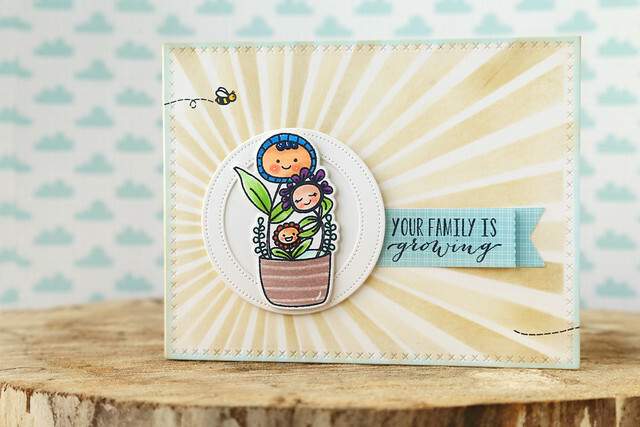 The Lawn Fawn girls are teaming up with Scrapbook Adhesives this week. It was like Christmas morning when I got my box of tape runners, foam squares, and adhesive sheets in the mail. Thank you, generous Scrapbook Adhesive folks! 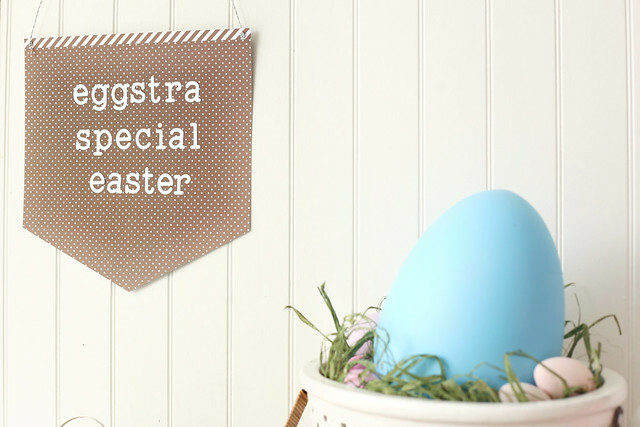 I gave some eggstra extra dimension to the basket by hand-cutting a second handle and propping up just the bow. The open egg with the jellies spilled out is also propped up. Now that I'm looking at it, I'm wondering why I didn't color the inside of that egg. The plastic eggs aren't usually white inside, are they? 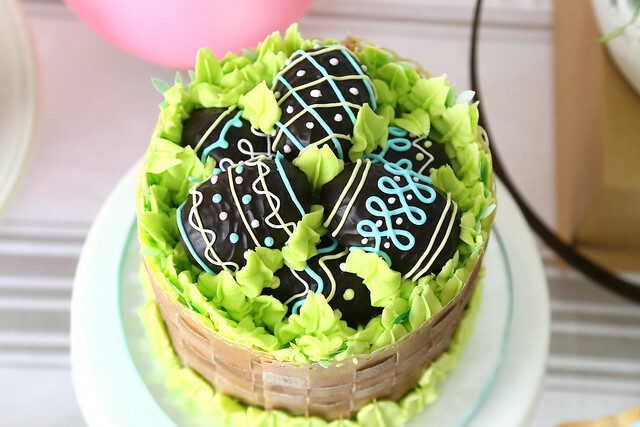 Let's pretend this is a fancy egg with a white enamel interior. More Pottery Barn than Target...mkay? I hope you like it! There's more to see on the Lawn Fawn blog - click!